GoPro helmet cameras have long been popular with outdoors types wanting to record video in any condition. Now, the company has an upgrade attachment that answers to a common complaint — “You can’t see or preview the video!” — with a snap-on LCD screen. The company’s BacPac product clips to the back of a GoPro Hero cam so filmmakers can compose, shoot and replay video footage and photos using the tiny screen, taking the guesswork out of helmet cam shooting. The BacPac costs about $80 — not bad for a serious upgrade. I’ve been testing it out with the company’s HD Helmet Hero model for the last few months, and overall I have had a total blast. A single button allows you to turn the screen on and off as well as play back your footage at normal speed, fast-forward and fast-reverse. You can view still photos. There is also a small built-in speaker with volume control to listen to the audio capture. 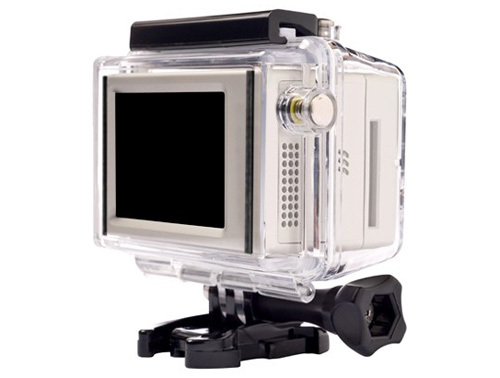 The BacPac attaches to GoPro’s 1080 HD Hero cameras that feature the Hero Port on the back. (Check here to see if the unit fits your GoPro camera: http://gopro.com/hd-hero-accessories/lcd-bacpac/.) 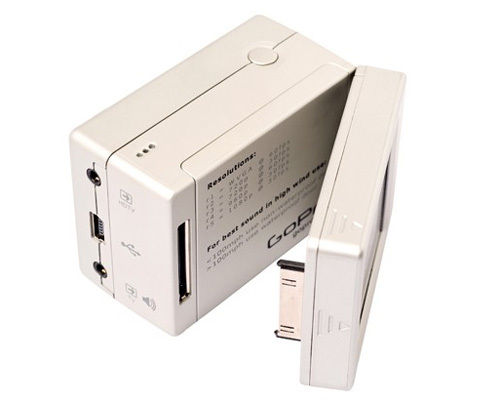 In addition to the screen, the kit comes with four housing doors, allowing you to use the BacPac with various mounts. Does the BacPac have any warts? Just one that I found. Like any LCD screen, it is difficult to see outdoors on a bright day. But for composing and making sure you’ve captured the footage you want, it serves the purpose just fine. The BacPac also adds a little bulk to the camera setup, and there are more functions to memorize — minor things that are far worth the trade-off.